The volatile and complex character of Ben Jonson, poet and playwright of comic genius is the subject of an excellent new biography by Ian Donaldson. 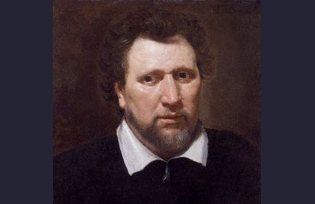 Friend and rival of Shakespeare, "Rare Ben Jonson", renowned for his wit and appetite, was the stepson of a bricklayer who became the court poet under Elizabeth I and James I and England's first literary celebrity. Few have had the misfortune to be a playwright in the same era as William Shakespeare, but only one of them managed to end his days universally acclaimed as the “King of English poetry” and “Wit’s most triumphant monarch”. Ben Jonson’s reputation has seen highs and lows over the centuries, but most recently he has been cast as a man who was part-Falstaff, part-classical scholar and part- churlish derider of Shakespeare’s talent. 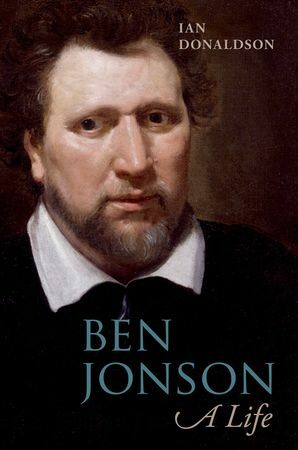 Ian Donaldson’s excellent biography “Ben Jonson – A Life” paints a convincing picture of a far more complex figure, living in the dangerous and mutable environment of Renaissance England. Donaldson, an expert in the field, has been a Jonson scholar for decades and is an editor of the Cambridge edition of Jonson’s Works. Today Jonson’s fame rests on his two plays, “Volpone” and “The Alchemist”, however, as Donaldson shows, Jonson was primarily a poet and a writer of courtly masques. Only reluctantly did he lend his talents to the “loathèd stage” with which he had a tortuous relationship, attracted by the money but despising what was for him a place where “nothing but ribaldry, profanation, blasphemy, all license of offence to God and man, is practiced.” He maintained this ambivalent attitude throughout his life, constrained in the theatre’s uncomfortable embrace by a seemingly endless need for funds. Jonson was a man of contradictions and volatile to boot. As a young man he made a name for himself while fighting in the Low Countries (during the Protestant revolt against the Spanish) – by taking on a Spaniard in single combat in front of the assembled troops – and winning. A bricklayer’s stepson turned classical scholar, he braved prison and torture on more than one occasion for having written the seditious play “Isle of Dogs” and for having killed a man in a duel. He converted to Catholicism at a most inauspicious time and then reconverted back to the Church of England ten years later. He flirted with the conspirators of the Gunpowder Plot and walked to Scotland and back for a wager – no mean feat, as at the time he weighed 20 stone. He was a bon viveur and a heavy drinker with a penchant for Canary wine, but above all he was a fine poet and a genius of dramatic comedy. Ben Jonson was unusual for his times in that when he wrote he did so with an eye to posterity, ever anxious to set the record straight about the validity of his talents and the depth of his misfortunes. He was also one of the first to publish his own works, when he saw his plays misunderstood or derided by contemporary audiences – he hoped for a better reception from a reading public or from future generations. He was one of the first English poets to become a national celebrity, which at least means that biographers have more information about his life, certainly a great deal more than the scant information that exists about Shakespeare. Jonson offers the biographer an endless supply of information – constantly referring to himself in his verse – about his own life, his loves, hates and anxieties and even about what was to become his massive frame and unsightly looks: “mountain belly and rocky face”. His name and reputation became known far and wide, well before the era of Byron and Dickens, when this sort of literary celebrity became the norm. Even Jonson’s walk to Scotland and back saw him greeted, wined and dined by unknown fans and admirers. However, at the end of the seventeenth century his star began to wane as Shakespearean idolatry took off. It was not until the early twentieth century that his reputation was finally cemented through the praise heaped on him by T.S. Eliot, James Joyce and W.B: Yeats, and it has not faded since. Jonson’s opportunity to escape from his humble beginnings came when he was accepted to study at the prestigious and, at the time, highly democratic Westminster School in London, where he became an avid reader of Ovid, Cicero and Seneca and notably the playwrights Terence and Sallust, laying the foundations for his “urban and contemporary style”. It was here that he acquired his much vaunted classical learning, allowing him to lord it over his contemporaries including Shakespeare and Inigo Jones. His partnership with Inigo Jones, the set designer and later royal architect, lasted 20 years, not all of them peaceful by any means. Towards the end of their lives friendship and cooperation gave way to acrimony and insult, but the two of them together were a dream team, creating brilliant courtly masques that were at the time an extravagantly funded and highly respected art form, far more so than the theatre. Jonson complained that the theatre brought him little money compared to masques, which were far more remunerative. Masques, unlike plays, were the high point of artistic endeavour in Renaissance England, requiring a team of a poet, a designer and a choreographer all working together with a budget that often came to 1,000 pounds, a massive sum for an evening’s entertainment. However, Jonson would have been much more constrained by his subject matter in composing courtly masques, as propaganda was the order of the day in the courts of Elizabeth I and James I. In this regard, Jonson had a side to him that was not unlike some of the two-faced characters in his plays, by day a propagandist pandering to the weaknesses of the monarch, offering flattery and hyperbole to the courts of Elizabeth I and James I and by night unleashing satire or sarcasm on his masters who were his lifeline to financial survival. He did seem to have an irresistible desire to bite the hand that fed him. Jonson was certainly ambivalent about the stage and its low life but he was equally ambivalent about his job as court poet – he took the role of poet very seriously – but here he had a more complex vision of his role, he saw himself as a Virgil to Augustus, an advisor and counsellor to the reigning monarch. Fame meant that acolytes and dear friends began to gather around him in an impromptu club, calling themselves the “Tribe of Ben”, and meeting regularly at a pub in Fleet Street. He had acquired fame in his own lifetime, but he was still restless. At times Jonson’s erratic and unsettled behaviour might appear inconsistent, but living in Jacobean London was a question of survival, of ensuring one’s access to funds and above all patronage. Johnson found himself on more than one occasion on the wrong side of royal and court favour, but never more so when he was associated with the conspirators in the Gunpowder plot. These were unsettled times. Protestants lived in fear of Catholic social unrest and Catholics lived in fear of violent repression at the hands of the Protestants. In this debate, Dryden has had the last word, saying that he admired Jonson but loved Shakespeare, as Jonson was England’s Virgil but Shakespeare was its Homer, a distinction that looks set to become orthodoxy. Ian Donaldson does a remarkable job, giving us a nuanced portrayal of Jonson that is both scholarly and readable. This biography opens up new vistas on a great poet and a remarkable man who was both witty and shrewd, even if at times quite simply unfathomable.